The Toronto real estate market was previously experiencing a lull, with properties not selling anywhere. But before anyone knew it, the real estate market was thriving, and sellers were very happy. Unfortunately, this made buying homes extremely difficult and unaffordable. This led to the Ontario attempt to cool down this hot real estate market, which ended up successfully reducing prices. However, this price drop left people feeling uncertain. What would the full effects of these measures be? For some buyers and sellers, their best option was to simply just wait it out and see what would happen. Living in the bustling, busy city of Toronto has many perks; for one, the city is an incredibly coveted place to be. It is near a lot of action, and a lot of places of employment for many people. Before the market was as hot as it was now, the prices of the Toronto real estate listings were much lower. There are also some downsides to living in the city, including fluctuating prices and crazy schedules. One family recalls their hesitation of purchasing their 1 ½ story home seven years ago in a troublesome looking area within Toronto due to the high price ($300,000) and limited space. Recently, they took note of the hot housing market and noticed that their previously questionable area was now considered an up-and-coming place to be for families looking to live in the city. This family chose to sell their home once they noticed how well the market was doing, and they ended up selling their home for $1 million while moving their family back to their hometown. This worked out well for them because the city was both financially and emotionally draining, as living there took up much of their time, energy, and resources. Not everyone has been able to profit from these market changes, however. On the flip side, prices are much too high for many residents who love the city to remain there or consider buying there. The Ontario government is going to be making efforts with their affordability measures as this issue continues. One of the measures that Ontario has taken to slow down the real estate market has been to enforce a 15 percent tax on houses being purchased by people who are not residents. This measure was also applied in the surrounding areas and proved efficiently effective in lowering real estate prices. However, experts do not think this will be a permanent decrease. Many prospective buyers are hesitating to make any moves in the current market while there is hope that the Ontario government might lower some prices. This anticipation is causing a lull and making the market more unpredictable as people wait to see how it all plays out. While some people haven’t halted, most buyers have certainly pulled back to see if the competition is going to die down. The average sales within the Toronto area are 33.2 percent higher than last year, which has led to sellers rushing to list their old homes in order to try to get the most profit from their venture. Unfortunately, prices have already fluctuated significantly from just last month, so it is difficult to tell when the opportune listing time will be. 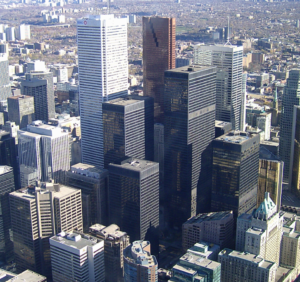 The main factor skyrocketing the home prices in Toronto is the fact that the area is in very high demand and there is simply not enough supply. This creates a ton of competition, and with this competition comes higher and higher prices in the form of bidding wars. These bidding wars resulted in sales that were much higher than the original asking price, and many people chose to take this profit and move somewhere outside of the Greater Toronto Area where they can live cheaper and with more space. All types of people, from empty nesters to new parents, are taking this opportunity to leave the city. The desire to downsize or simply move to a calmer area with less congestion is very appealing. 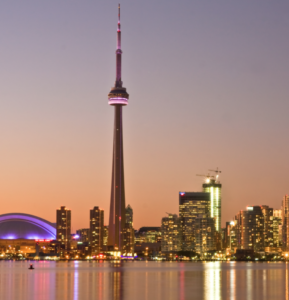 However, there is still a lot of demand to live in the Greater Toronto Area. Is It Still Safe to Sell? Many people are looking to live in commuter cities (like Burlington, Ontario) or other surrounding areas to escape the high prices within Toronto. Even with the current uncertainty surrounding the Toronto real estate market, it is still a great time for sellers. There are still ongoing sales that are being sold for more than their asking price, which is great news for prospective sellers. Although it is good to sell sooner than later, sellers should take note that this hot market might be overdue for a shift soon. The uncertainty of this market makes the decision to sell and cash out or not even more difficult. Because of this market’s surrounding uncertainty, many buyers, sellers, and real estate agents are concerned about Canadian real estate prices significantly declining. These concerns are mostly due to the fact that these record high housing prices are not realistically sustainable. There is no telling how badly the Toronto economy would be affected if this real estate bubble was to burst. Fortunately, the Ontario government is still striving to formulate a “soft landing” solution for this issue. It is much too soon to see how that will pan out, but their price-lowering policies and affordability measures will hopefully assist this process. Buyers are waiting for a savior during these high price times, but it is impossible to determine when prices will lower. 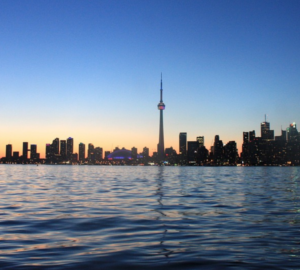 Toronto is currently topping even the best United States real estate markets, making it one of the hottest in-demand locations in the continent (this includes both luxury homes and general houses these days). Toronto’s real estate bubble might be losing some air, but fortunately, it doesn’t seem close to bursting quite yet.